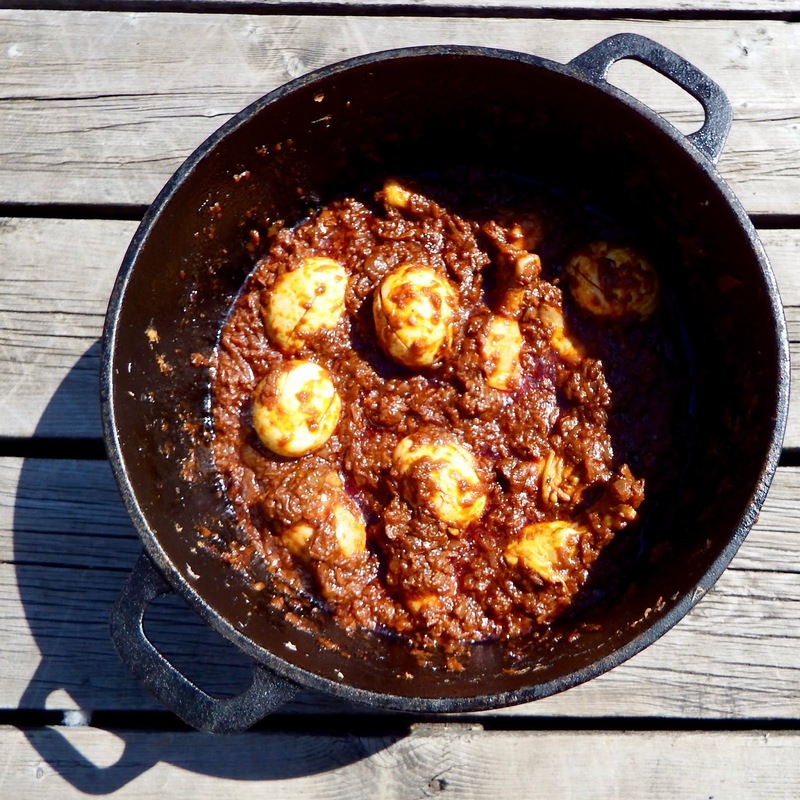 I'm excited for this recipe because this is one of my favourite Ethiopian dishes. It's nothing too fancy, just cooked greens. Personally, I love greens and I eat them every week. 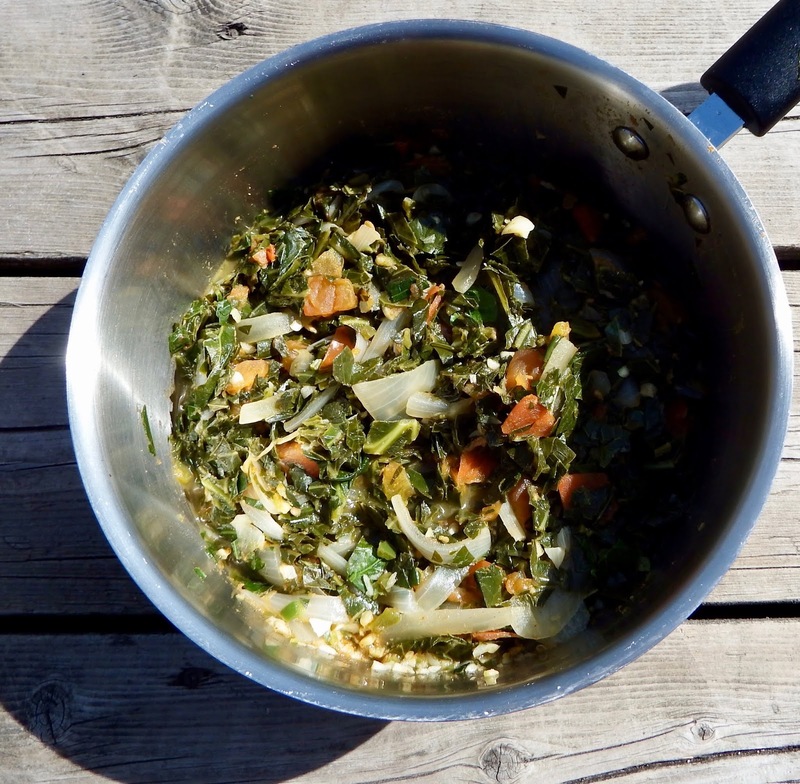 Collard greens, kale, chard, dandelion greens... any dark green, broad leafed vegetable. They're fantastic for you and while they may not be a favourite among picky eaters, I find them quite delicious. Gomen Wat is essentially the Ethiopian version of that. It's a quick and easy side dish to put together. Usually when I cook collard greens I stack the leaves and roll them into a big cigar shape so I can easily cut them into ribbons (this is called a "chiffonade"). Then I fry up some onions, garlic and usually chili pepper before adding the sliced collard greens and wilting them down for a few minutes. Literally a few minutes. I don't let them get mushy. When most green vegetables get cooked at a moderately high heat their green colour intensifies then after a while it starts to turn a grey-ish green. I always prefer to serve them at that intense green phase. Plus it goes without saying that it's healthier that way. The preparation for gomen wat has many similarities to what I just explained, but I prefer mine with a couple of rules broken. First, I like to roughly chop my collard greens so that they're in small pieces instead of ribbons. Doing so I find makes it easier to eat with injera, which is traditionally used to eat with your hands. Ribbons are better for eating with a fork. 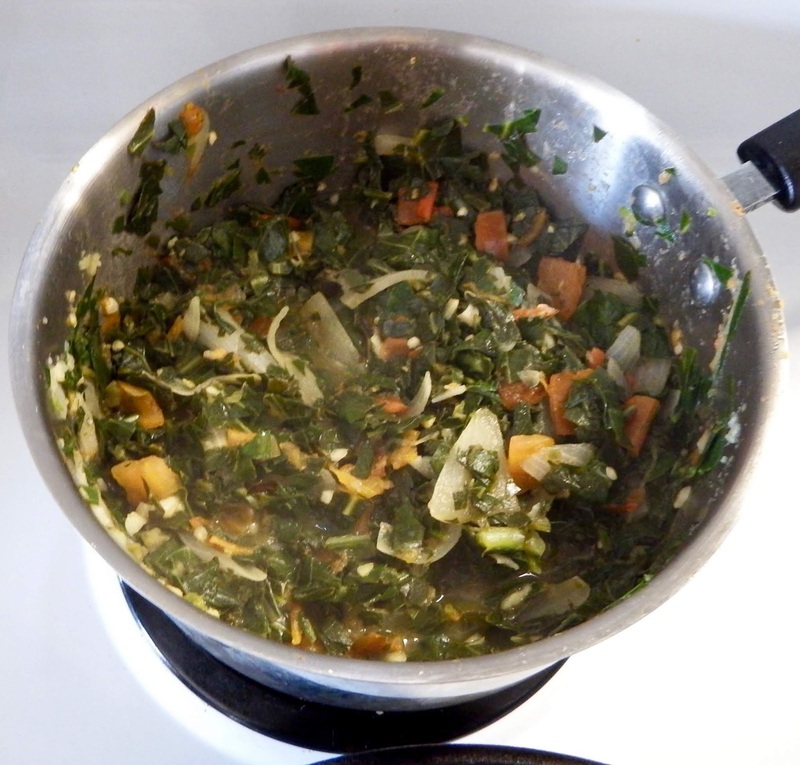 Whenever I've had gomen wat made by actual Ethiopans the greens were chopped in this manner. I also cook the collard greens quite a bit longer than I normally do. But they still don't quite get to the mushy, grey-ish green phase. There's a 10-15 minute braising period applied to the greens. For this I prefer them a bit a bit softer. Feel free to cook them as long as you prefer. Same goes with the greens, you can absolutely substitute kale, chard or anything similar. Warm a pot over medium heat and add 2 tsp of oil. Sautée the onion, garlic, ginger and chili until the onions begin to soften and go translucent. 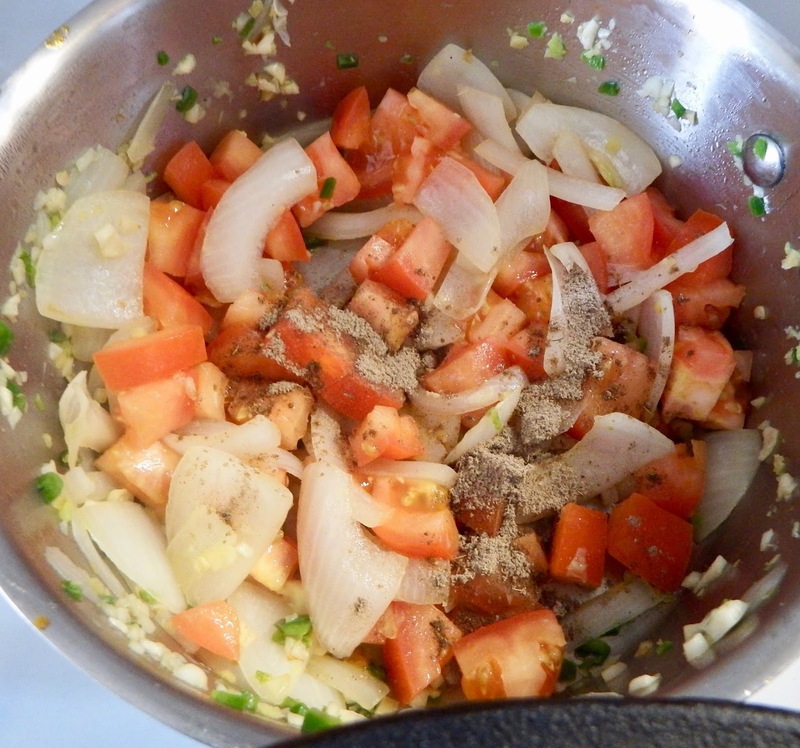 Add the chopped tomato, ground cardamom, salt and pepper. Cook for a few more minutes. 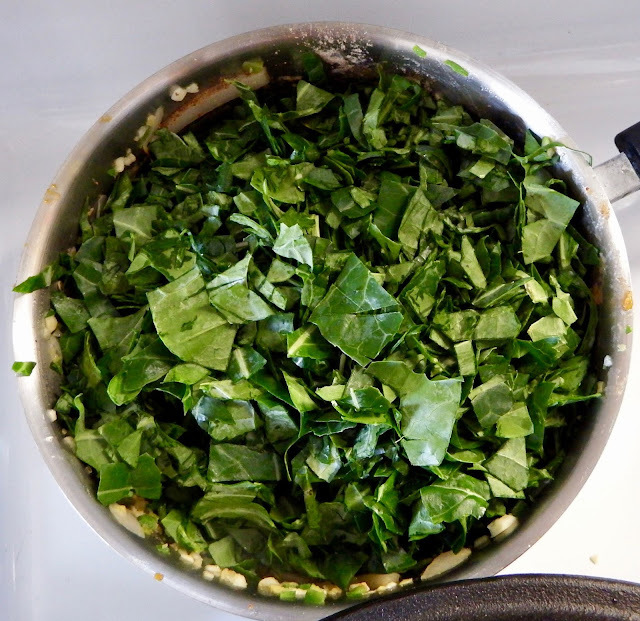 Remove the collard greens from their stems and chop finely. Add them to the mixture. Add a pinch of salt and 1/2 cup of water or stock. Then cover and cook for an additional 10-15 minutes. Stir a couple of times in between. It may look as if the pot in the picture above was too small, but greens shrink quite a bit when they wilt. If the finished wat is too wet (lol) you can simply drain before serving. I usually use a pair of tongs and let any excess water drip back into the pot before plating. 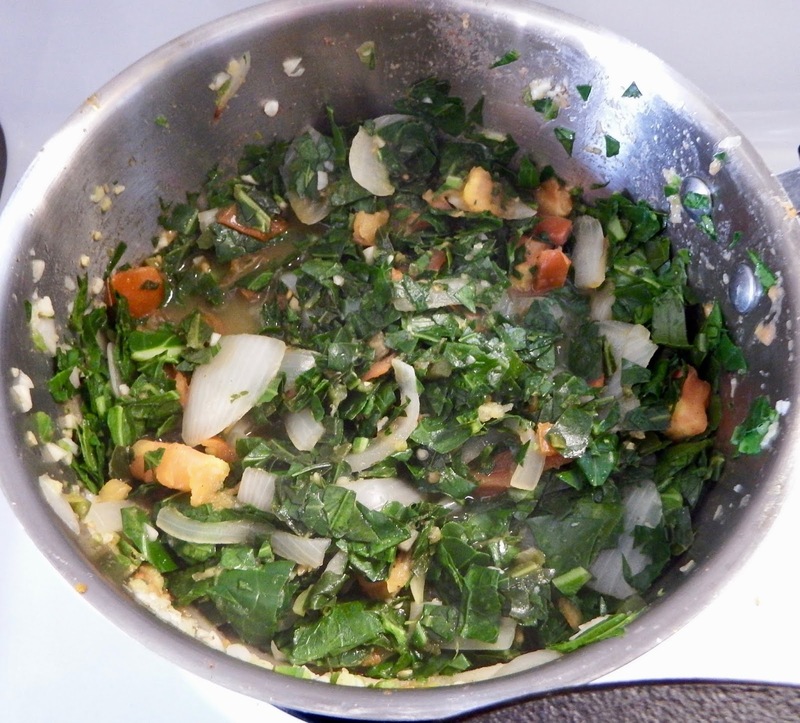 The cardamom and the ginger really give the greens a fantastic flavour that I'm not used to when I usually make them. No matter what you're eating, it's great to have some greens on the side. They're no exception here. Feel free to play around with this recipe. It's very versatile. You can add or remove anything you like. You can eat greens frequently and never have to eat them the same way twice. That's one thing I love about them. Life is all about taking the healthiest foods and making them taste good. This recipe does just that. If you're scrolling down, this is the first of a few Ethiopian dishes. I hope you get inspired and give them a try. 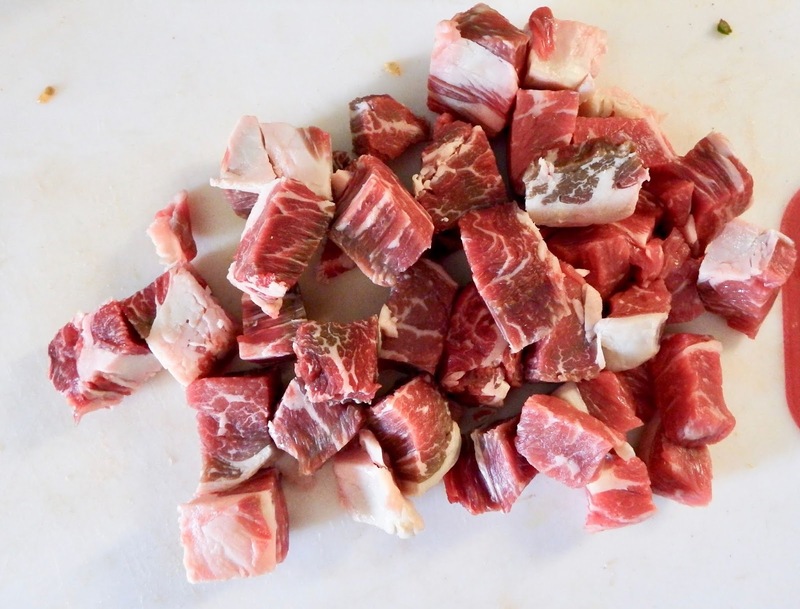 If you're new to Ethiopian food you may want to include tibs in the dishes you try. They're easy to make, not too complicated and are made up of a few familiar flavours. Come to think of it, most if not all of the times I've had Ethiopian food there has been some variety of tibs. So what are they? 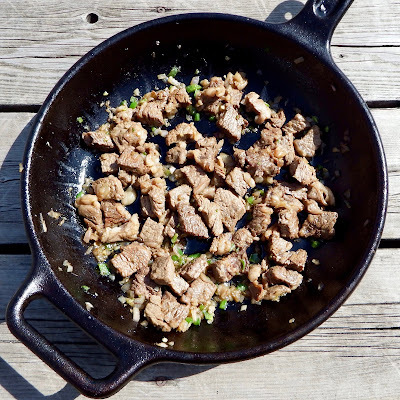 Tibs refer to small pieces of steak that are cooked with niter kibbeh, an Ethiopian spiced butter. They're little bits of meaty goodness. What's not to love? I'm using ribeye steak in this recipe, but you can use just about any steak that cooks fast and has some marbling. I prepared and served this along with doro wat which is a spicy chicken stew that has quite a bit of berbere spice in it. I opted to omit berbere spice from my tibs so there would be more contrast between my tibs and my doro wat. 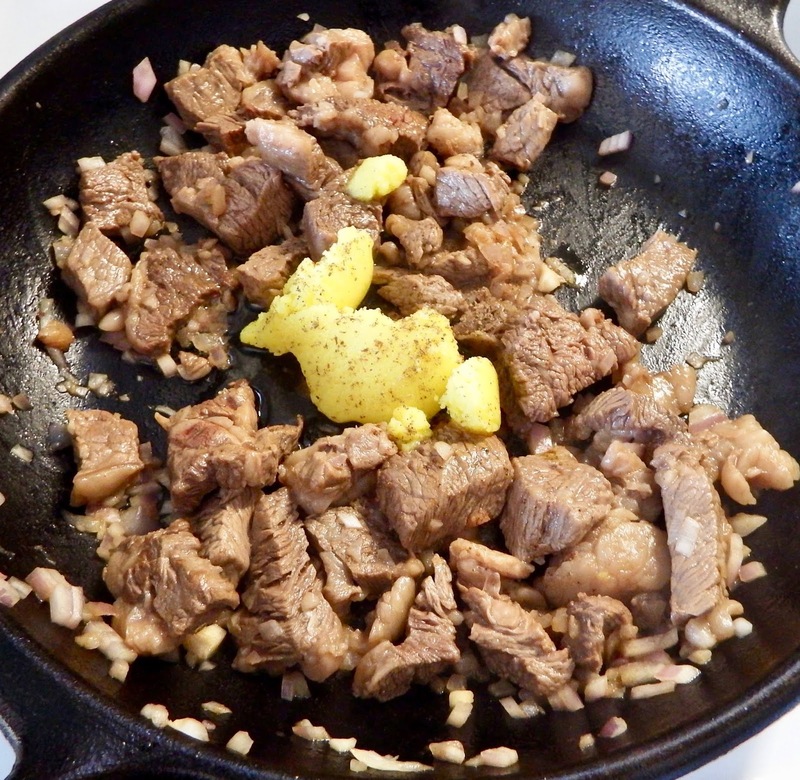 There are already spices in the butter that the pieces of steak are cooked in so it's not necessary. Although, if I was going to make this and serve it with other wats that didn't have much berbere spice, I would add it to this. It's just a personal preference. You may love berbere spice and want it in everything. It's your call to make. Warm a non-stick or cast iron skillet over medium heat. 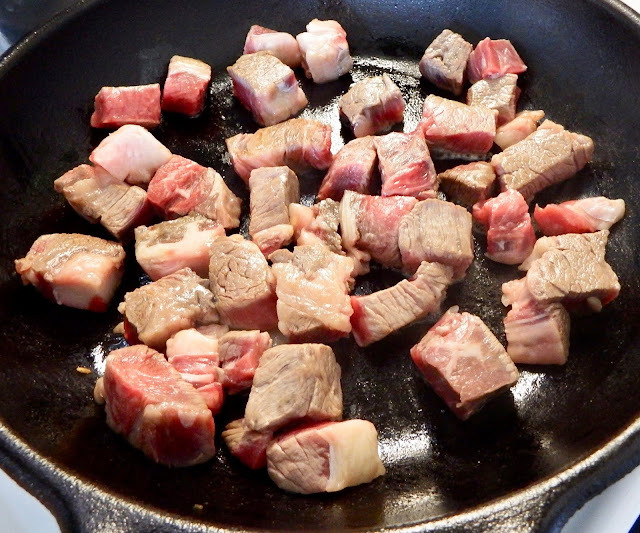 Add the cubes of steak and a pinch of salt to the dry pan and brown them for a few minutes. Stir occasionally to avoid sticking. 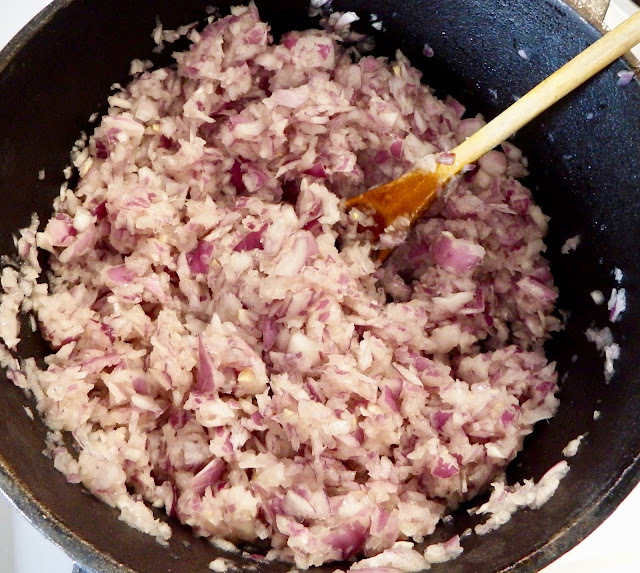 Add the minced red onion and continue to cook for a few more minutes. Add the niter kibbeh and a generous amount of pepper. If you're using berbere spice, I would add it at this stage. Stir for another couple of minutes. Add the green chili and stir them in for the last couple of minutes. 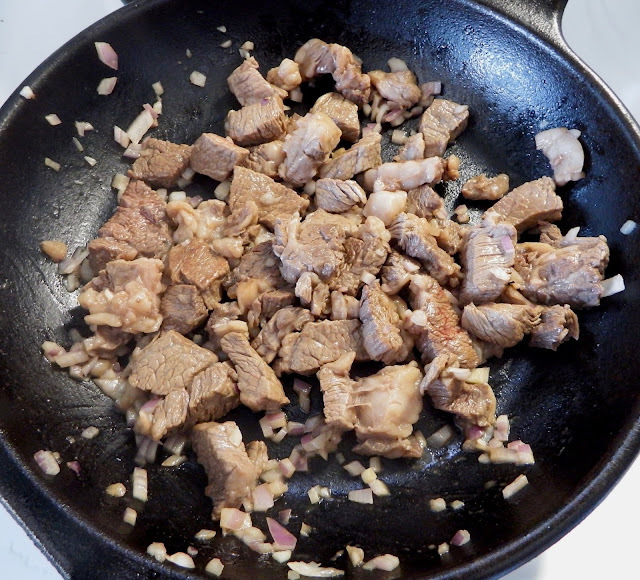 In total, the tibs should take no more than 12 minutes to cook otherwise they can get chewy. Serve with injera and enjoy. Pretty easy, right? This makes for an awesome weeknight dinner with some flatbread and salad. It also works great in a spread of Ethiopian dishes. If you're a vegetarian you could substitute steak with firm tofu and cook it the exact same way. If you're vegan, you can use a vegan butter alternative and add some spices to boost the flavour. 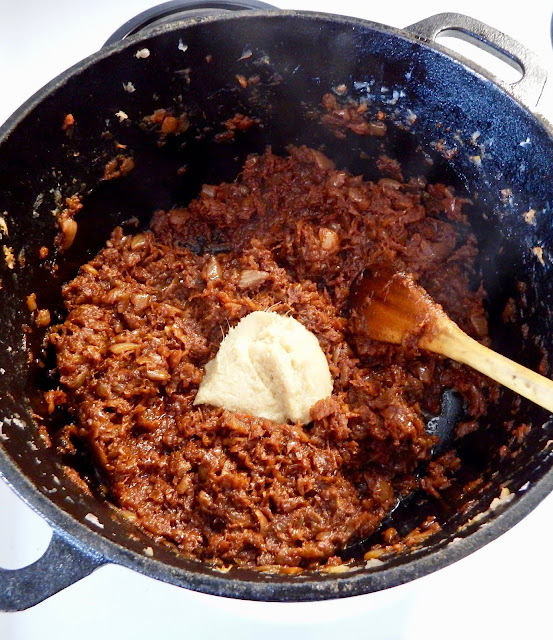 The meat and butter combination certainly makes it one of the richer Ethiopian dishes. It pairs well with the natural tanginess of injera bread. If you serve it with fresh salad and other vegetables it will cut the richness and make for a more balanced dining experience. 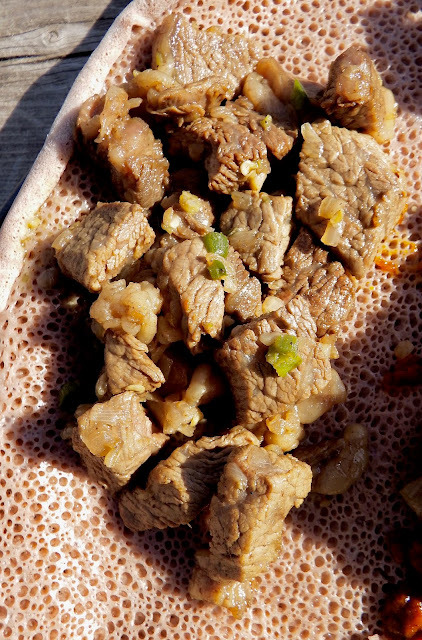 The ease and popularity of tibs make them quite a staple in Ethiopian cuisine. There are also many variations out there but this is more or less a basic version which you can play around with. Ethiopian cuisine has a lot of options for meat lovers and an equal amount of options of vegetarians. 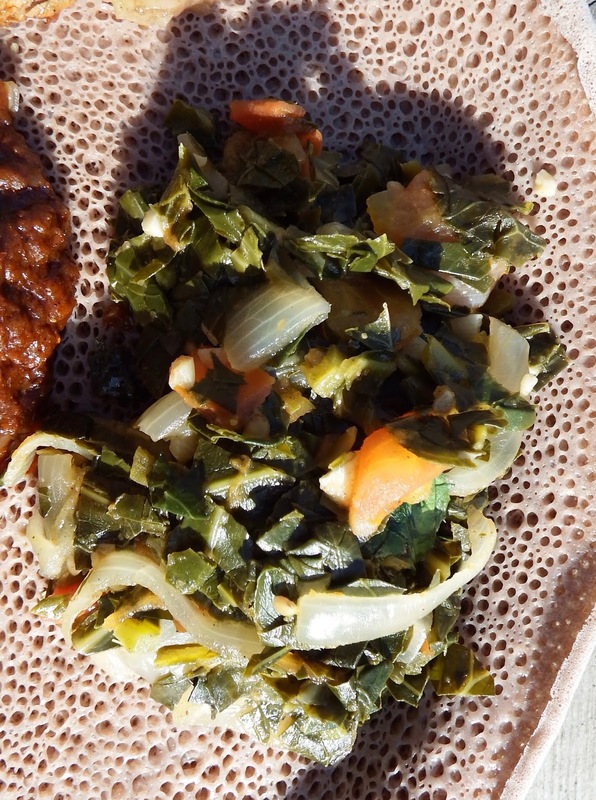 The meatless options in Ethiopian cuisine quite often feature legumes (lentils, split peas, chickpeas, etc...). My ex, who is allergic to them, and I used to frequent a couple of Ethiopian restaurants and had to avoid legumes in our vegetable dish choices. This is a dry stew of cabbage, potatoes, carrot, onion, garlic, chili and spices that was one of our favourites. It's simple in its concept and preparation but it's very tasty and satisfying. The feature of turmeric also gives it a bright yellow colour which adds visual flare when plated with other dishes. It has fantastic, toothsome textures and the balanced sweetness of the cabbage and carrot pairs well with the starchy, comforting potato. I'm going to keep this recipe vegan, but if you like, you could use Niter Kibbeh instead of oil for added flavour and richness. If you are vegan, no worries, this dish already has plenty of flavour on its own. The veggies cook in their own moisture. 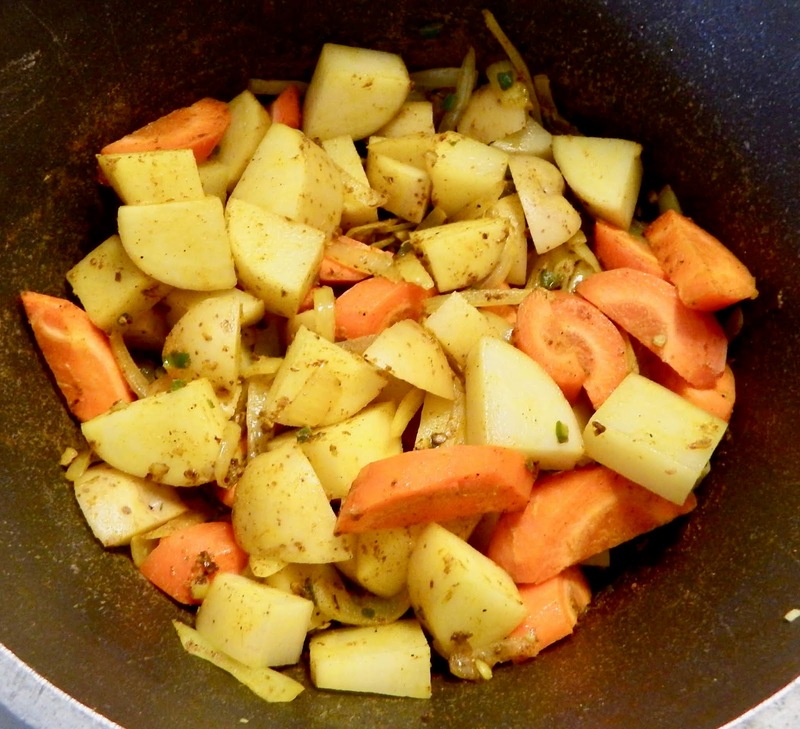 If they start to stick in the pan before the potatoes are tender, you can add a splash of water or broth. You may not need to. It will depend on your veggies and the lid of your pot. 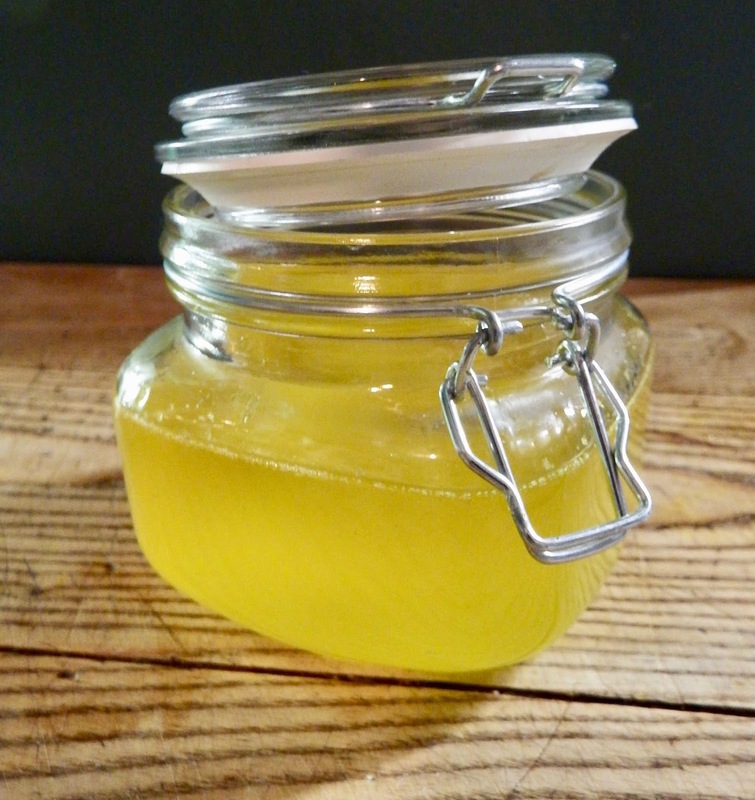 Warm 2 tsp of oil in a pot on medium-low. 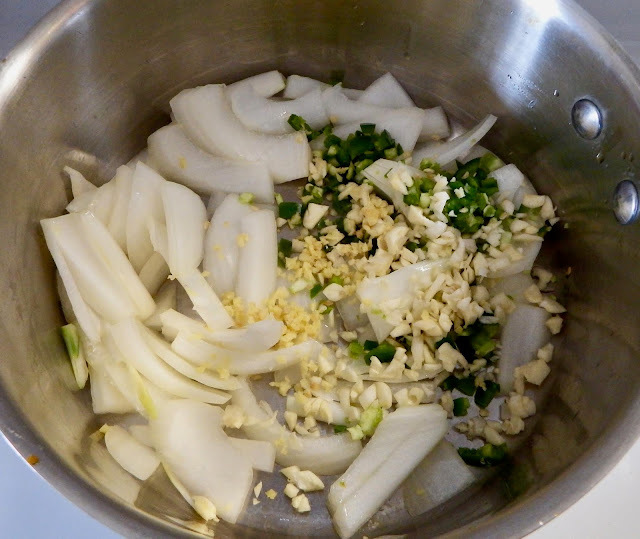 Sautée the onion, garlic, ginger and green chili gently for about 4 minutes. Add the cumin, turmeric, fenugreek, cardamom, cinnamon, cloves, salt & pepper. Continue cooking for an additional 3 minutes. Add the potatoes and carrots and mix well. Cover for about 10 minutes, stirring occasionally. Add the cabbage and cover, stirring occasionally for about 15 more minutes or until the potatoes are tender. As mentioned before, you may need to add a little water if there's a risk of burning, but the veggies should have just enough water to steam and cook gently. Taste for seasoning and adjust accordingly. 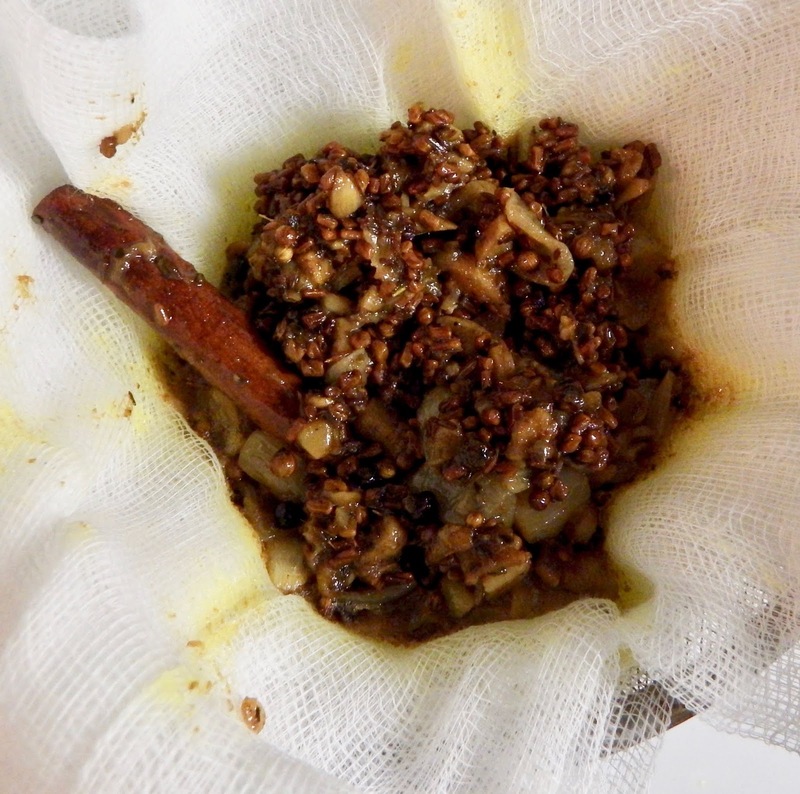 Serve warm with injera and other Ethiopian wats. Although this is a vegan side dish, I must say it paired very well with the meatier wats. 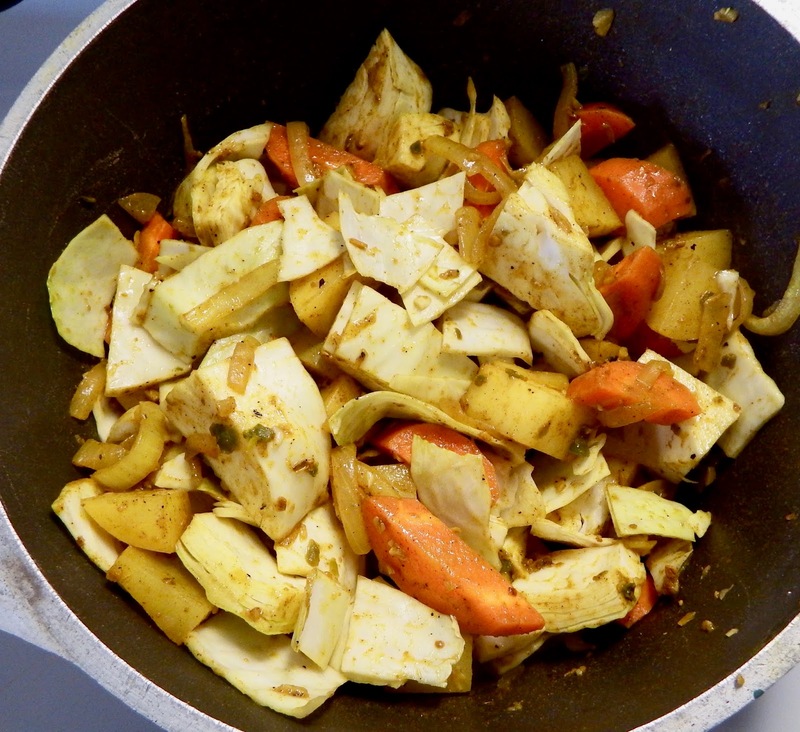 Cabbage, potatoes and carrots on their own are all veggies that pair well with meat so the three of them combined is even better. There's something about spices and potato (especially cumin and turmeric) that are so comforting and satisfying to me. This dish delivers that every time. This is always a great wat to have on your Ethiopian food spread. 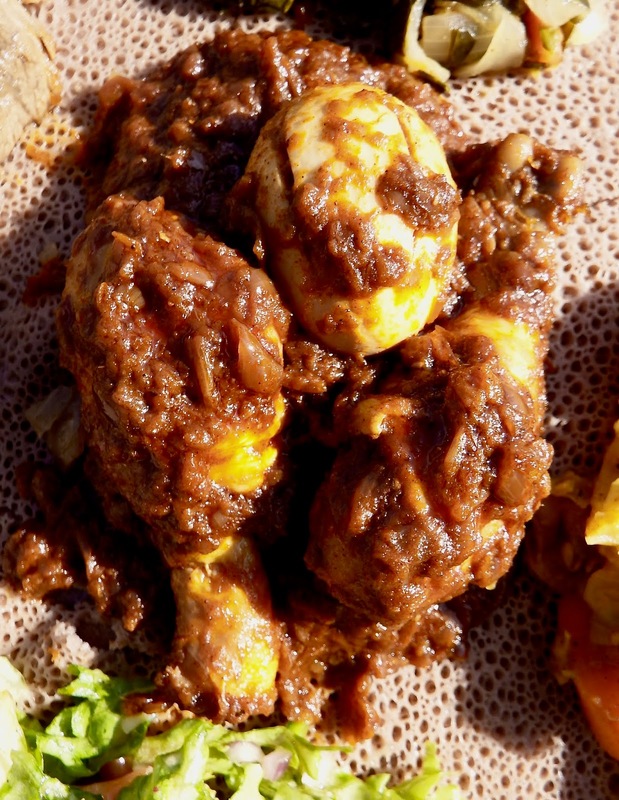 Doro Wat is Ethiopia's national dish and it's easy to see why. In all honesty, this may be the most delicious recipe on this entire blog. The flavours you get out of this dish are unbelievable. They come at a price, however. This dish is labour intensive and takes a long time to make. If you take on this recipe, it will be a project, be warned. Is it worth it? Absolutely. There is a lot of stirring, but it's not exactly difficult. It just takes patience and perseverance. This dish took me nearly 4 hours and believe it or not, that's a rather quick version. In some households this dish can take an entire day. It's certainly for a special occasion. 'Doro' means chicken and 'Wat' (sometimes spelled "wot" or "wet") means stew. But not all chicken stews are doro wat. This is THE doro wat. 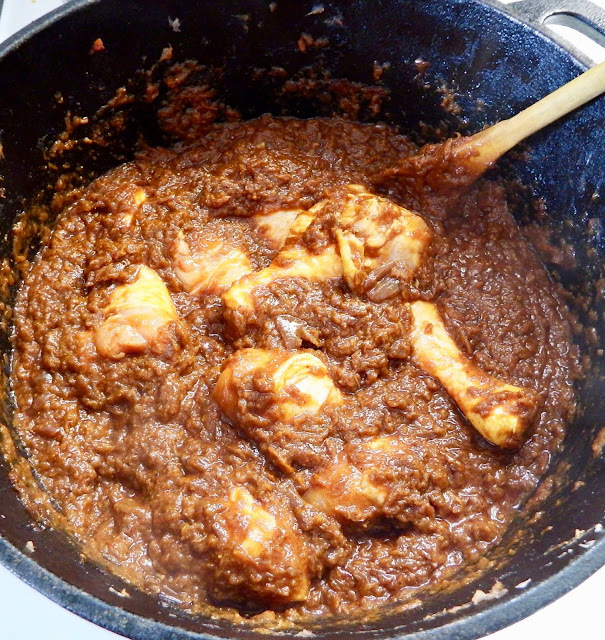 Essentially, onions are cooked down and caramelized in a dry pan for a long time until jammy. Then berbere spice (an East African blend) and niter kibbeh (a spiced Ethiopian butter) are added and it cooks and reduces even more. Then chicken pieces and a bit liquid are added. 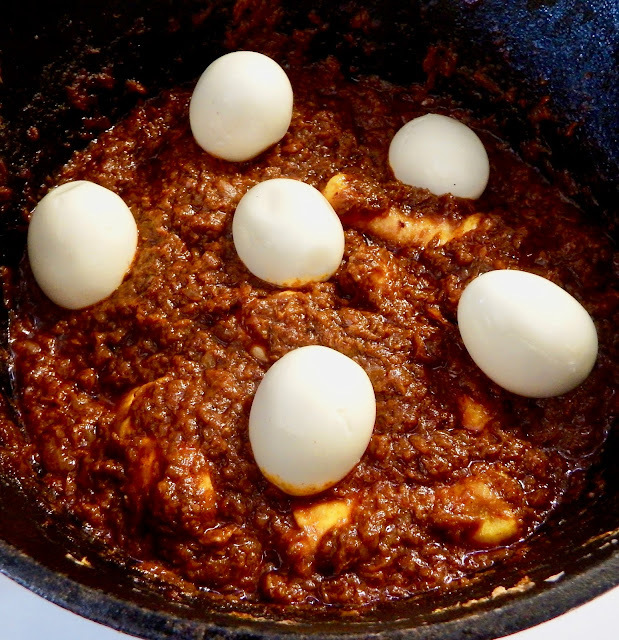 After the chicken is cooked and tender, hardboiled eggs are added to the stew. There are some crucial steps that cannot be rushed or omitted. The flavours are so incredibly complex. Sweet, spicy, savoury... plus you get to eat the chicken and the egg! 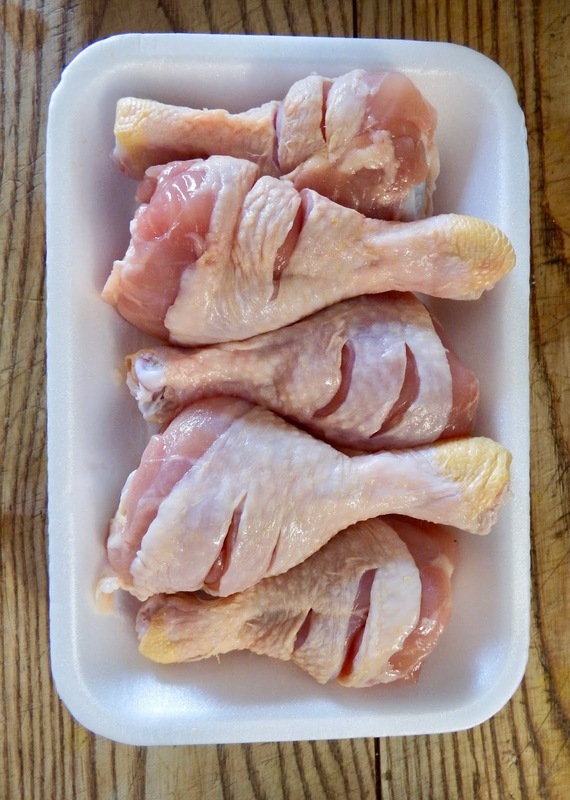 I want to talk about something: washing chicken. People seem to either swear by doing it every time or never. I'm not here to try to sway you either way. You do whichever you feel most comfortable doing. I feel it's worth noting that almost all of the recipes I researched advised to wash the chicken in salty water with lemon before cooking. Personally, I've always been taught that washing chicken is unnecessary and increases the risk of cross contamination. Therefore I never do it and this recipe was no exception. If you're asking me, I don't recommend it. But if you don't mind and want to go for the totally authentic experience, suit yourself. Some versions specified to remove the chicken skin as well. I don't usually in a stew recipe so I kept mine on. In total you want about 2 lbs of chicken pieces. I opted to use just chicken drumsticks, which was about 8 of them. You can use any chicken parts you like. Although I recommend bone-in pieces as they are traditional and flavour the sauce more. The first step is to finely chop 6 large red onions. Yes, you need a surprising amount of onions for this. I really recommend a food processor for this to save you from the manual labour and tears. Warm a dry, heavy-bottomed pan or dutch oven over medium heat. 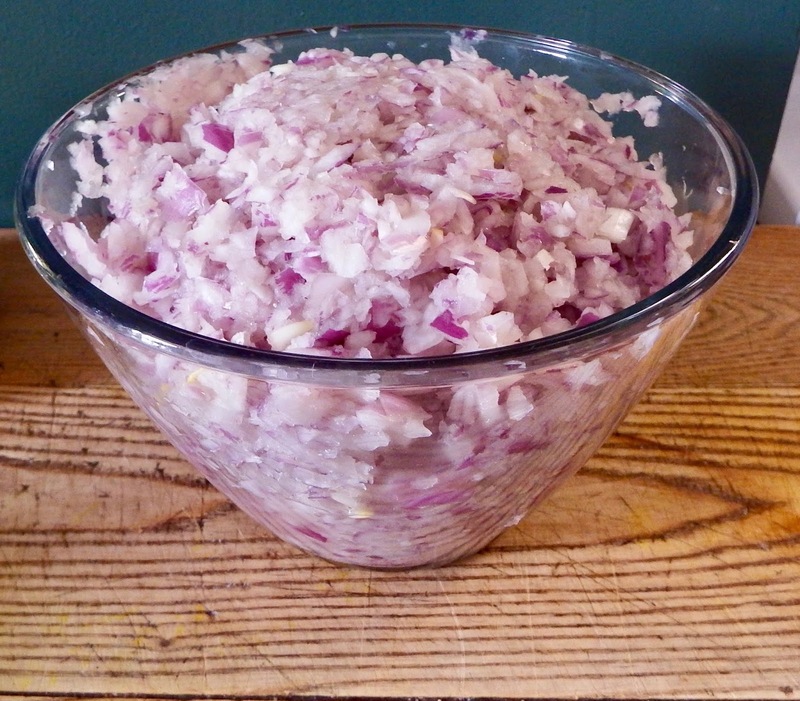 Add all the finely chopped red onion. Just to be clear, the pan must be dry. No oil, butter or any fat at this stage. This is crucial to a good doro wat. The initial sautéeing stage, traditionally, is at least 60 minutes. I went for 90. The goal is to dry out the onions into a sweet paste. 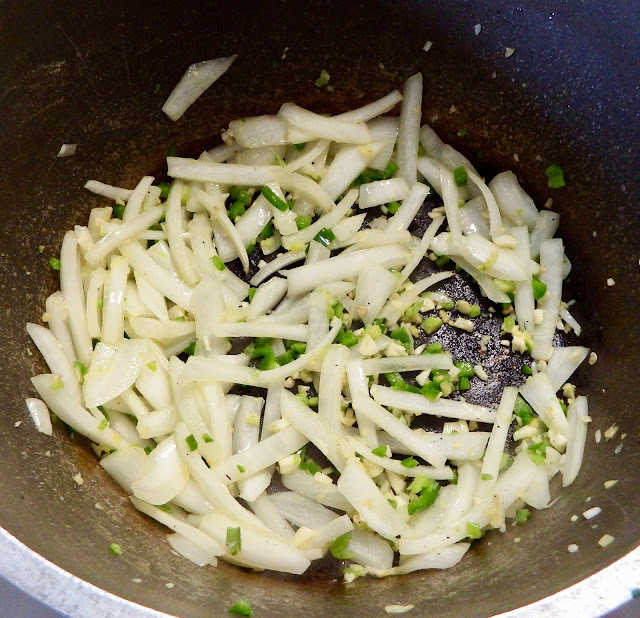 Nearly constant stirring is essential in order to keep the onions from burning. If you burn your wat, there will be no saving it. You can cover the pan between intervals of stirring, but don't leave it for more than a couple of minutes or so at a time. This will help to keep some steam in the pot. There should be plenty of water naturally in the onions to keep it from burning. In a pinch you can add a tbsp or so of water, but only if it's critical. 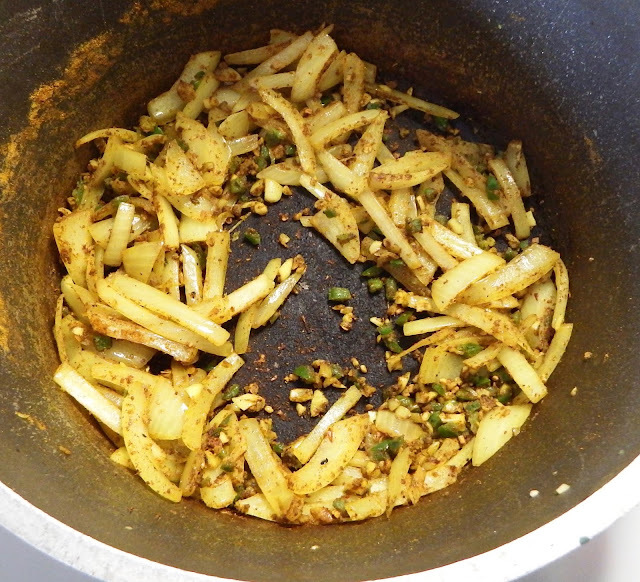 The idea is to cook as much of the liquid out of the onions as possible without burning them. As this was my first time cooking it, there were times where I felt like most of this recipe was just guiding these onions on a long journey while keeping them within an inch of burning, lol. I can't stress this enough, this step cannot be rushed or skipped. After an hour or so of dry frying your onions should be a pasty consistency. Now it's finally time to add some fat. Start with 1/2 a cup of oil and add more if necessary. I ended up adding up to a full cup of oil, but this will depend on your onions. Continue frying for an additional 15 minutes or so. Next, add 6-8 tsp (depending how hot/flavourful you want it) of berbere spice blend. Stir to incorporate. 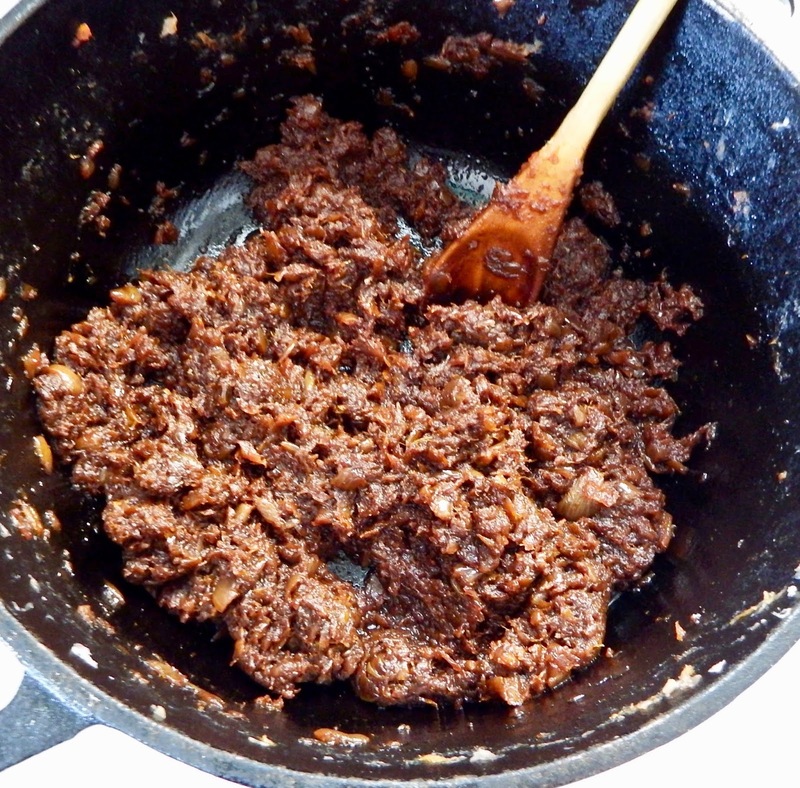 Then stir in about 3 tbsp of niter kibbeh. More will be added later. 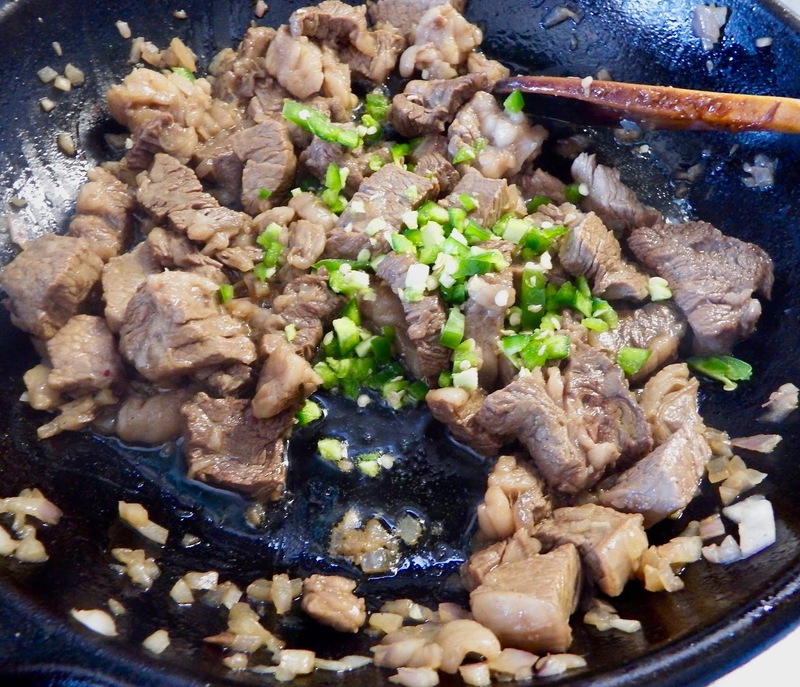 Then add 1 tbsp of ginger-garlic paste and stir that in. Add 1-2 cups of water or chicken stock and turn the heat back up to medium. 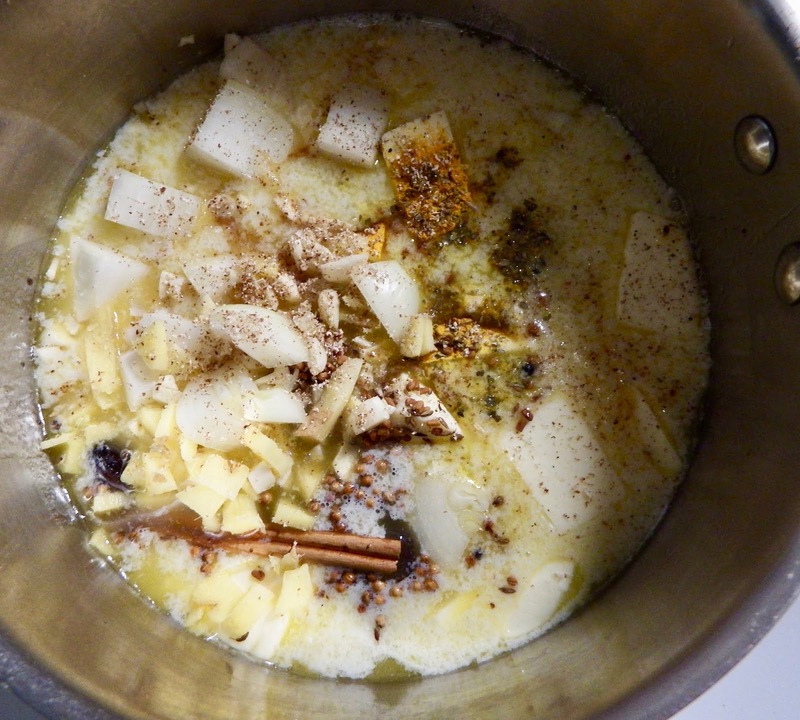 Stir and bring the mixture to a simmer. Now it's finally time to add the chicken, but first, make 2 incisions in each drumstick to allow the flavour to penetrate. Add the drumsticks to the sauce and reduce the heat back to medium-low. Stir occasionally and cook for 40 minutes. This is a good time to hard boil 6 eggs and peel them. Halfway through cooking add 1 tbsp of Mitmita spice. After the chicken has cooked, add about 3 additional tbsp of niter kibbeh. Taste and adjust for seasoning (after all the love and care that's gone in at this point, it can't not be delicious). Then add your hardboiled eggs and gently stir them in. Let the wot cook for a final few minutes and you're done. 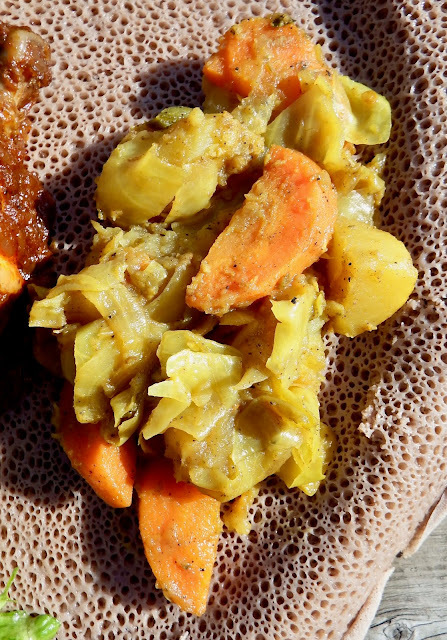 Doro wat (and most other Ethiopian dishes) are traditionally eaten with injera, a mildly fermented flatbread. I haven't been quite able to master making it from scratch on my own, but I can get mine from an Ethiopian restaurant on my street. At the end of the day, it's a scrumptious chicken stew. If you can't get or make injera, you can still enjoy it with any other flatbread, rice or couscous. I really recommend it with injera though. 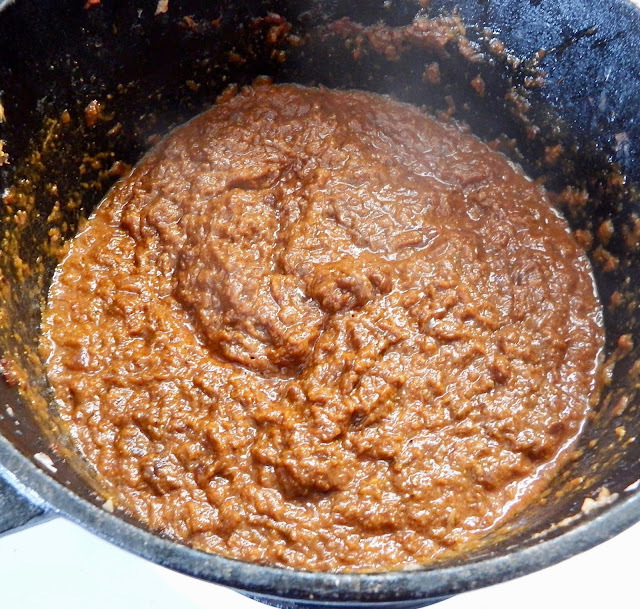 This was my first time making doro wat. I've had it before at restaurants, including once in Kenya which shares a border with Ethiopia. The biggest difference I've noticed is that the texture of my sauce differed a bit from the more authentic versions I've tried it. Mine was thicker and jammier and other times I've found it a bit thinner. Perhaps it just comes down to personal taste. If you want your sauce to be thinner, just add more water. It was delicious either way. Please make a point in your life to try this dish. It's unlike anything you may have ever tried. The love, patience and skill that goes into its preparation are a real privilege to enjoy. 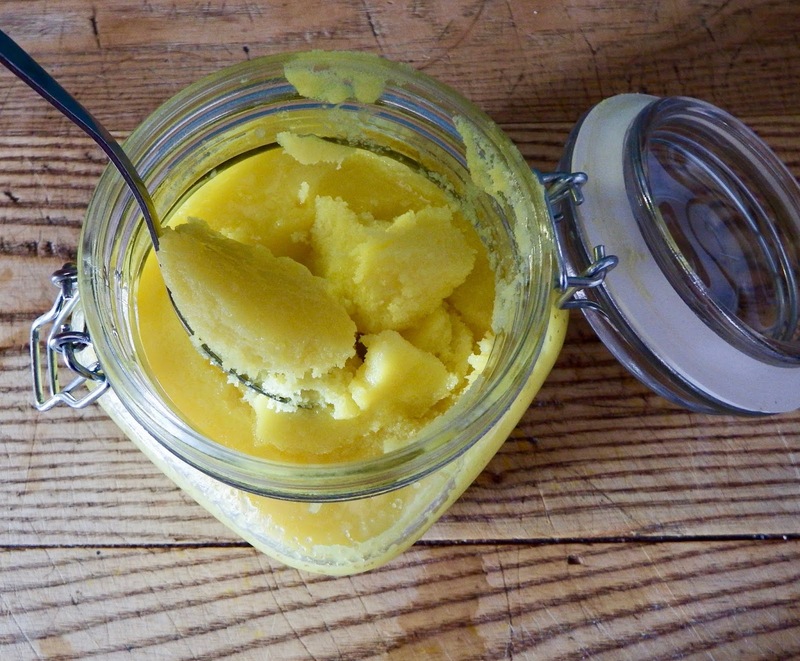 I'm working on a few Ethiopian recipes for the blog so I wanted to make a separate post for this butter because they use it in a number of their dishes. It's called Niter Kibbeh, and it's a clarified butter gently slow-cooked with spices to infuse it with their flavour. Not to be confused with Kibbeh, which is another recipe on the blog for something entirely different. It just coincidentally has a very similar name. Clarified butter (or ghee) is butterfat that's been rendered and separated from the water and milk solids. Sounds like an involved process but all that means is melting butter and skimming away any foamy impurities from the top. This recipe is even easier because you don't have to bother skimming. We're going to simmer whole spices and dried herbs in butter and then pass it through a sieve with some cheesecloth. That not only separates the solids from the butter but it also clarifies it for us. The only challenge you may face is finding all of the ingredients. I live in Canada and, fortunately, one of the most multicultural cities in the world. It's a foodie paradise with lots of resources but even I couldn't find a couple of the ingredients after some searching. I will include them in the recipe below, but if you can't find them either, they can be omitted. If you don't mind waiting, you can purchase them online. They're both dried Ethiopian herbs called besobela and kosseret. The former is also known as "sacred basil" but I didn't read any sources that said you could alternate with regular dried basil. They're understandably obscure; so if you can find them, great, if not, no worries. One more thing, please note this recipe calls for black cardamom (or kororima). These are not to be confused with green cardamom, which is the much more common variety where I live. You know the little greenish ones you often see in Indian cuisine? Those have a very different flavour from black cardamom and cannot be substituted. I mean, it would probably be quite nice, but it won't have the same flavour. If you care at all about authenticity, I don't recommend this recipe if you can't find black cardamom. 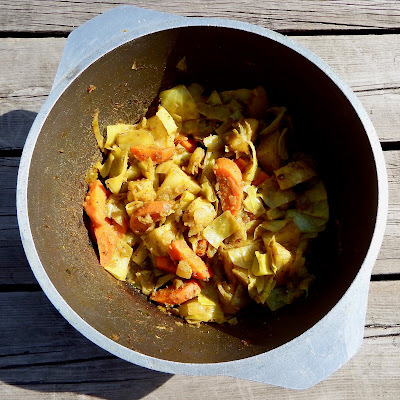 It has a deep, smoky, earthy flavour that's essential to Ethiopian cuisine. 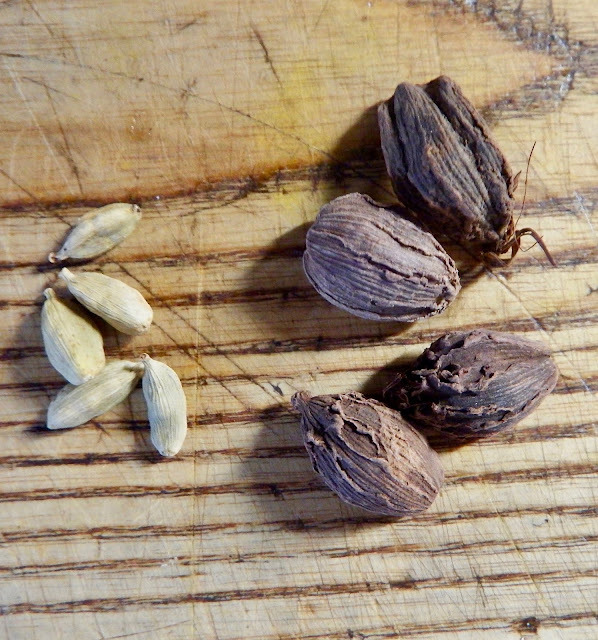 Below is a visual comparison of green cardamom, left, and black cardamom, right. Similar enough in shape, but obviously quite different in size and colour. 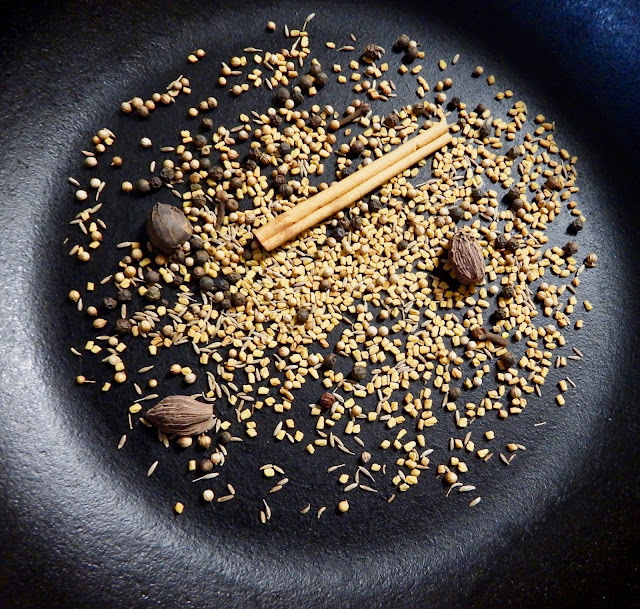 Toast the whole spices over medium heat in a dry skillet for a few minutes until fragrant. Be very careful not to burn them. Then combine all of the ingredients in a saucepan over medium heat. 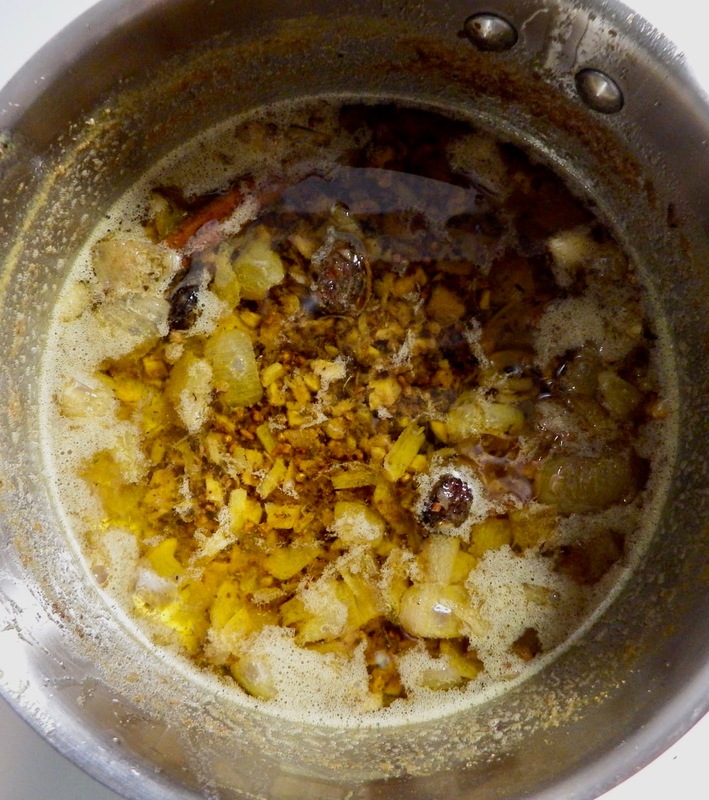 Bring to a gentle simmer and reduce the heat to low. Line a small sieve with cheesecloth and pour in the contents, squeezing out as much butter through the sieve as you can. 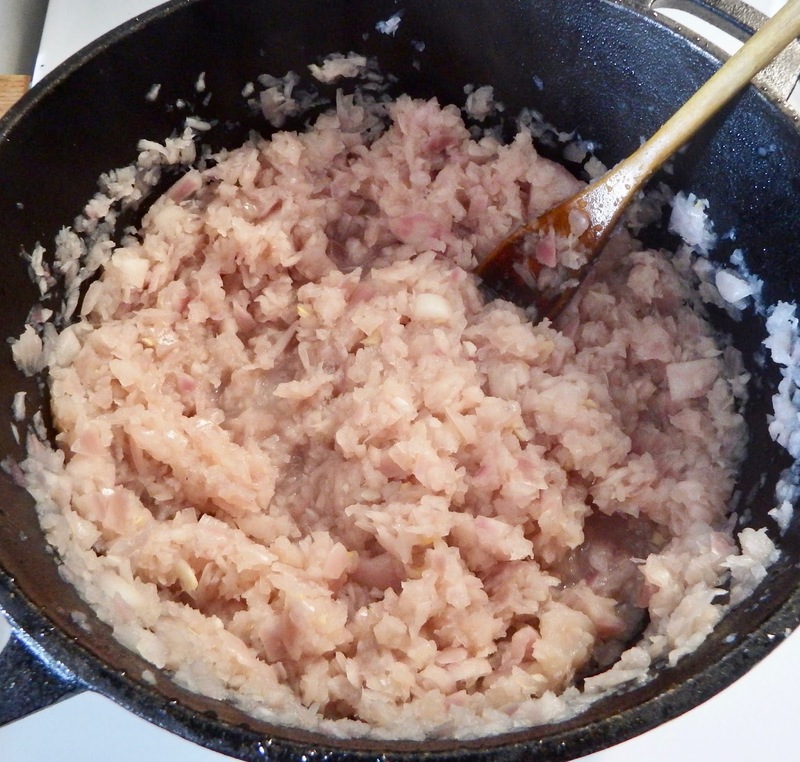 Pour your fresh batch of nitter kibbeh into a container and allow to cool down completely before sealing airtight. Stored in a cool, dry place it will last for several months and even longer in the fridge (although it will solidify and be not as easy to scoop). This recipe yields about 2 cups. So it does require some patience and attention. Maybe even a little hunting for ingredients. Other than that, very easy. I'll show you how to incorporate this in some Ethiopian dishes, but feel free to use it whenever you feel like it. 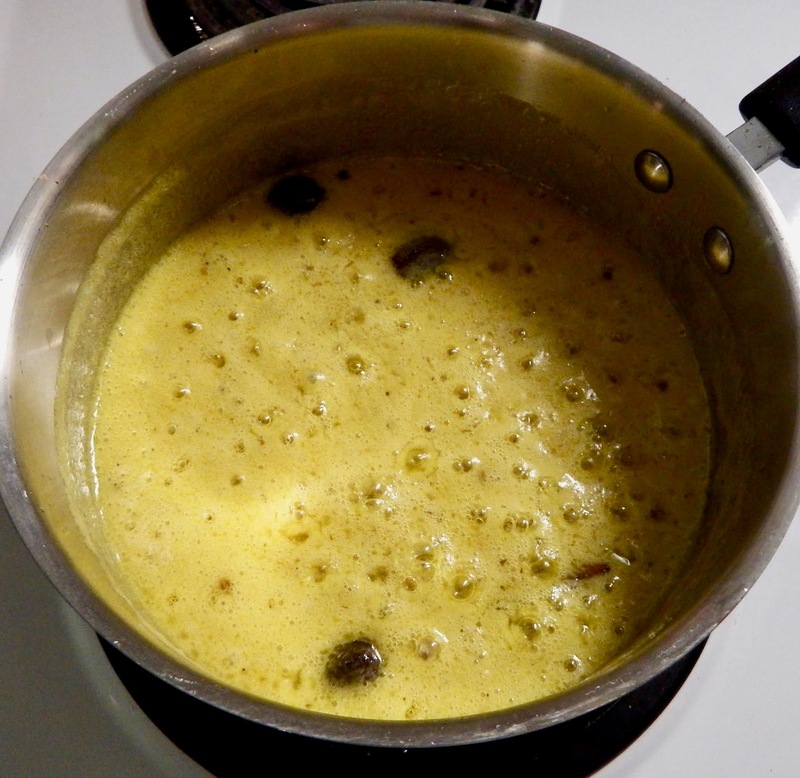 Because the butter simmered for so long it takes on that nutty flavour that it does as well as all the complex flavours of all the spices together. It smells so good as you're making it too. I hope you give this recipe a try so you can make some tasty Ethiopian food of your own and impress all your family and friends.